Higashi Honganji Buddhist Temple, 505 E. Third St. in Little Tokyo, will hold its annual Obon Festival on Saturday and Sunday, July 28-29, from 1 to 9 p.m.
Obon is a traditional event to honor and express gratitude to the spirits of our ancestors, those before us who provided us with the gift of life. The Obon Festival is held as a celebration of the return of the spirits of our ancestors. The festival features food, games, farmers’ market, flower market, bingo, tea ceremony demonstrations, traditional Bon Odori dancing, and various types of entertainment. 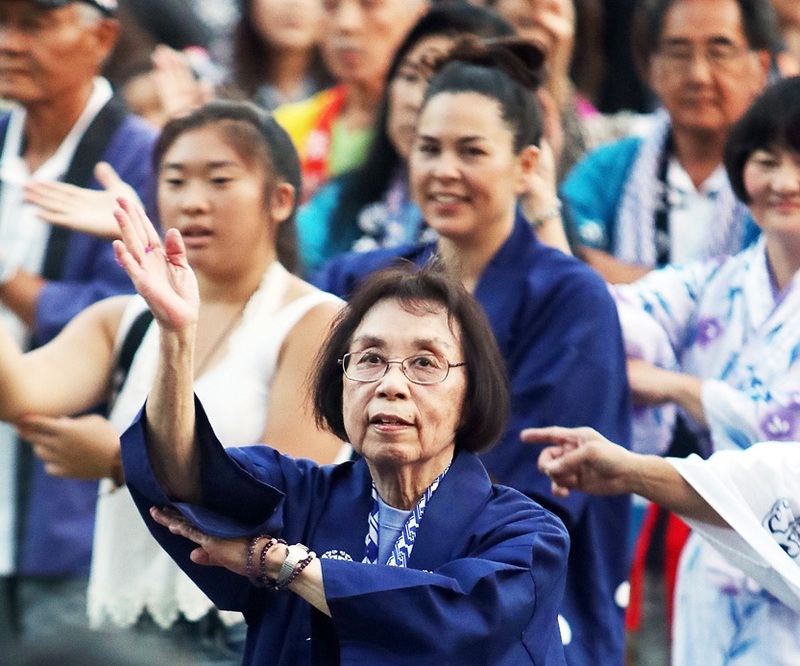 Manto-E services will be held both days at 5:30 p.m. Obon/Hatsubon service is on Sunday at 11 a.m. Ichinobowaryu Senchado tea ceremony begins Sunday at 1 p.m.
Bon Odori takes place both days at 6:30 p.m. Everyone is invited to join in. Go green at Obon by bringing your own reusable bag and water bottle. Free parking courtesy of Metro at S&P Parking, 428 E. Temple St. (Mangrove), next to the Little Tokyo Gold Line Station, from 11 a.m. to 10 p. m. Free shuttle to and from Higashi Honganji. Shuttle will also be available to all Metro Gold Line users. Validation will not be offered for the Medical Building this year. For more information, call (213) 626-4200 or visit http://hhbt-la.org.